Orchids are not as difficult to grow as most people think. Orchids can grow in most homes under the proper conditions. 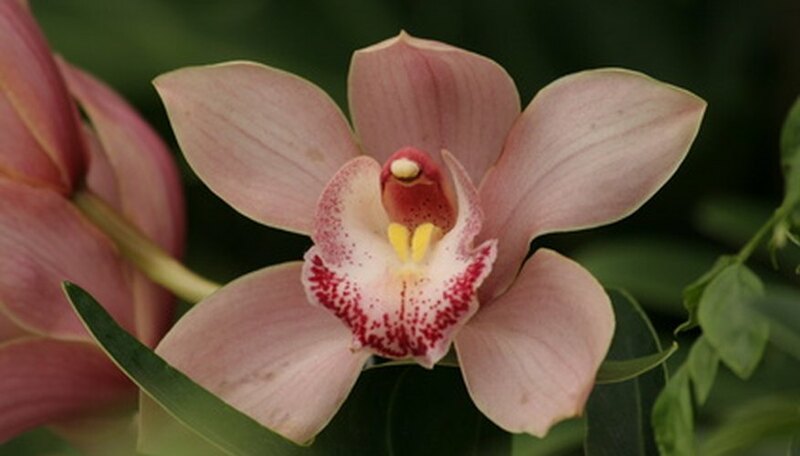 An orchid enjoys moist soil and plenty of bright, indirect light. A north-facing window is the perfect spot for an orchid. Ideal temperatures for orchids are 60 to 85 degrees F. The Phalaenopsis orchid tends to be the easiest variety to grow because it adapts well to different environments. Some orchids bloom every year while others bloom several times per year. With patience you can get the blooms to regrow. Repot orchids every 12 to 18 months, after the orchid has bloomed. Plant the orchid in a good bark potting mix and in a pot that is slightly larger than the one the orchid is in. Place 2 inches of potting mix on the bottom of the container. Remove the orchid from its current container. Place it on top of the new potting mix. Fill in the sides with more potting mix to secure the plant in place. Do not pack the soil down as it can suffocate the roots. Place the orchid in a spot that gets at least four hours of indirect sunlight throughout the day. Give the plant 1/2 cup of water every week. Do not allow the plant to dry out. Water the orchid early in the day so that the soil will be dry in the evening. Apply an orchid food every other week using a fertilizer specifically designed for orchids. Follow the directions carefully to ensure proper feeding and to avoid overfeeding. Cut the spike halfway down the stem with a clean, sharp blade after the last bloom falls off of the orchid. Seal the stem with candle wax to prevent disease. Continue caring for your orchid as you normally would and you will continue to get blooms. What Do I Do Once the Orchids Have Fallen Off the Stem?